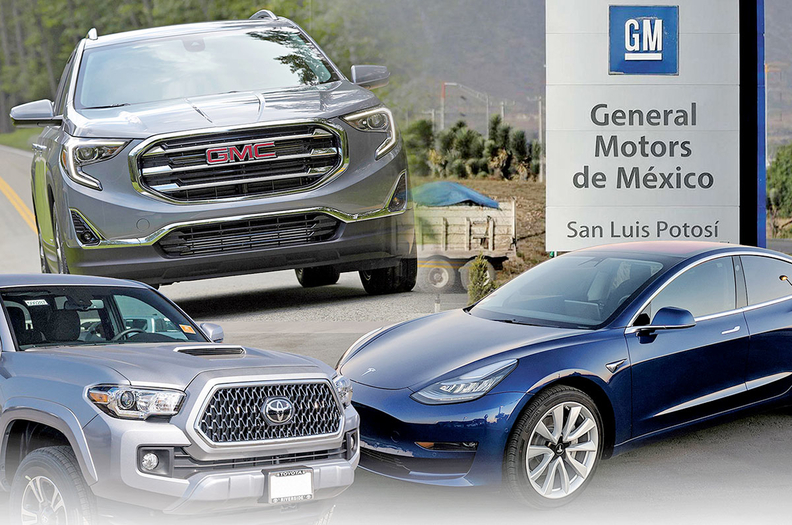 Mexico production of the GMC Terrain, left, and Toyota Tacoma, below left, rose significantly in 2018. Tesla, below, was one of just three automakers with higher U.S. output. *U.S. and/or Canada figures are estimated. ***Kia U.S. figures are estimated.